Eliza has been begging to do a "Halloween craft." She specifically asked that the craft involve brownies, which sounded like an excellent idea to me! 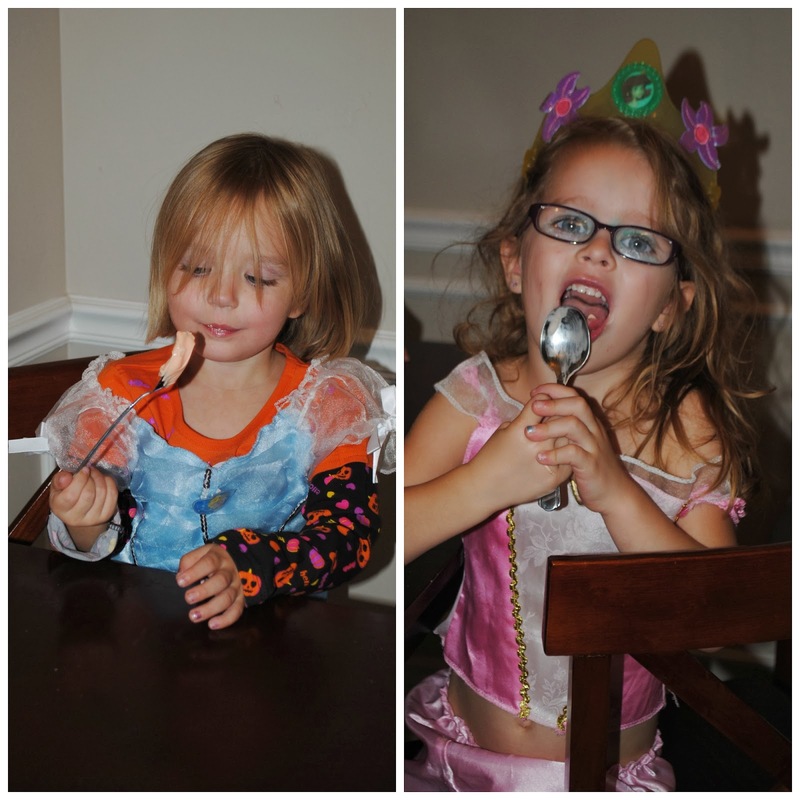 We invited Becca and Ruby over, and the girls got to work decorating their brownies (while dressed like princesses, of course). Obviously, no decorating would be complete without licking the icing spoon clean! And yes, they definitely need haircuts. These little mullets are getting a little out of control. I'm trying to come up with different holiday crafts to break up the monotony of being at home all day long. Even though Eliza has preschool and ballet two days a week and swimming classes once a week, I feel like we are constantly bored now that the weather has gotten colder. I love Utah, but I forgot how winter means very limited outdoor activities. It's really no consolation thinking about spring being over six months away. Hopefully, it goes by rather quickly! Mmmmmm. I need some of that brownie action.